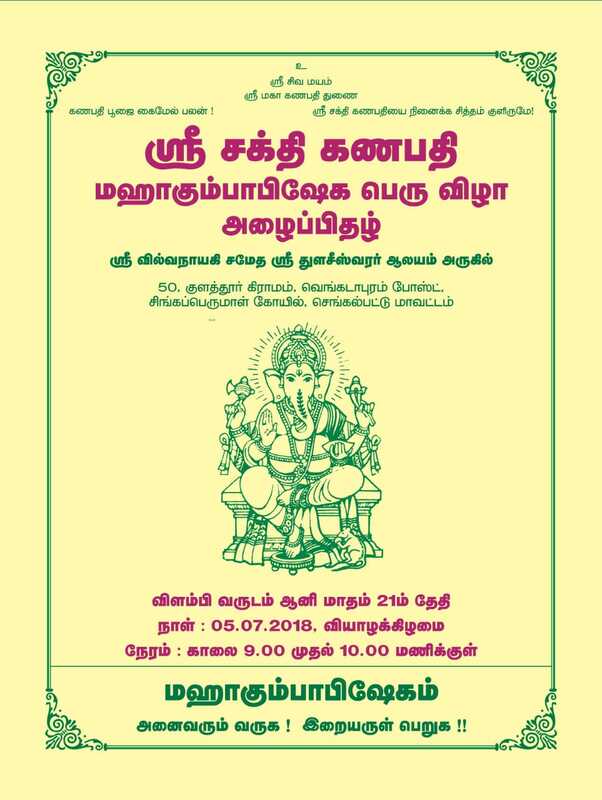 Sri Sakthi Ganapathy, Sri Agastiar, Sri Bhairavar Maha Kumbabishekam. 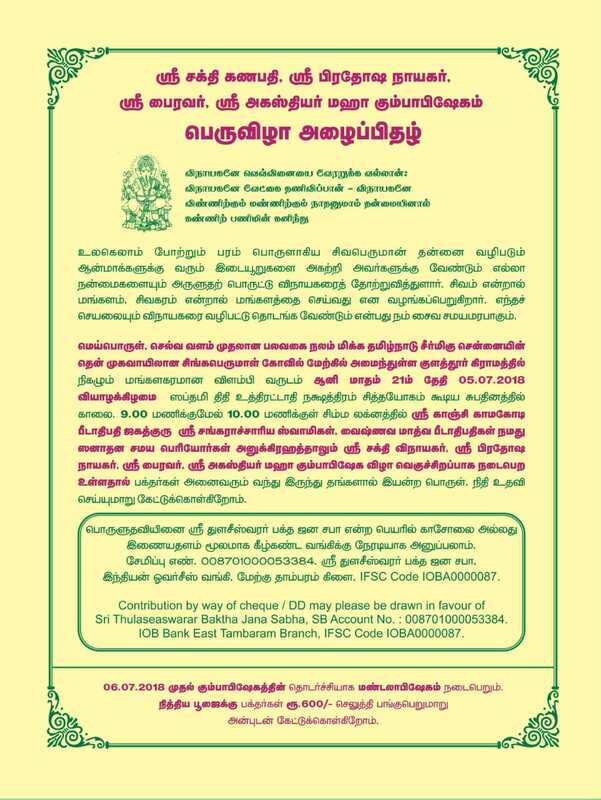 Thursday, 5th July 2018 from 9 am to 10 am. 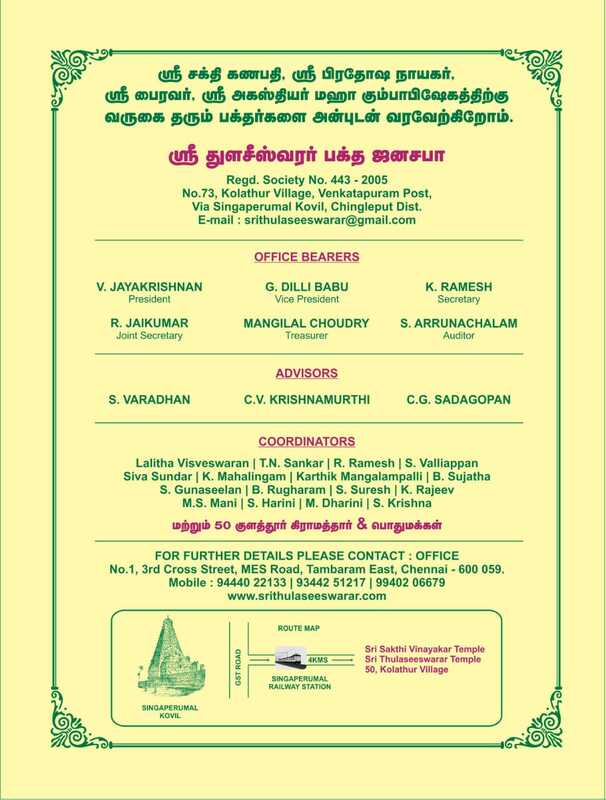 Place : 50 Kolathur Villlage, Venkatapuram Post, Via Singaperumal Koil, Chengalput.. All are invited. 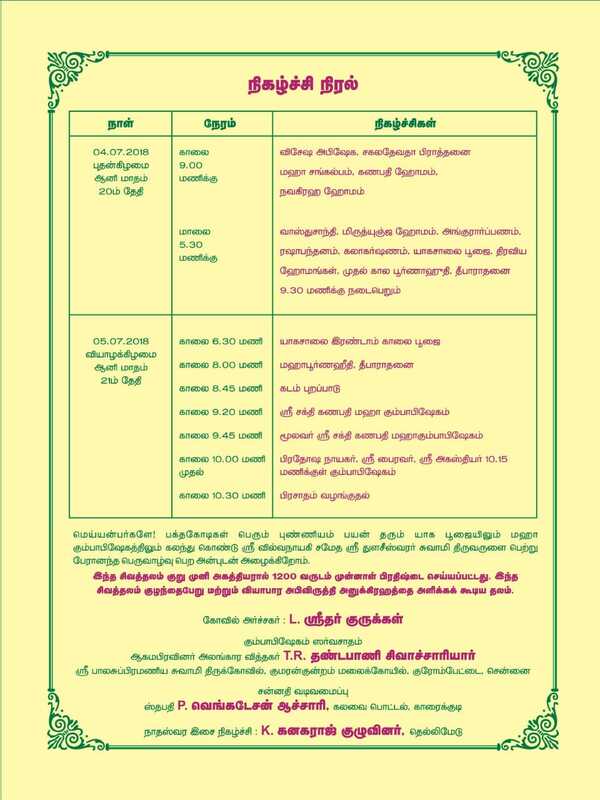 Pls plan to attend the function on both the days…need your support to complete the task successfully.